The anchor man replaces the departed Bazzie Armand who has since joined league leaders Minerva Punjab. There has been a lot of chopping and changing going on for East Bengal and finally, after searching for some time they have found a suitable player in Dilshod Sharofetdinov. The 32-year old midfielder was playing for T-team club in the Malaysian Premier League. He replaces the departed Bazzie Armand who has since joined league leaders Minerva Punjab. 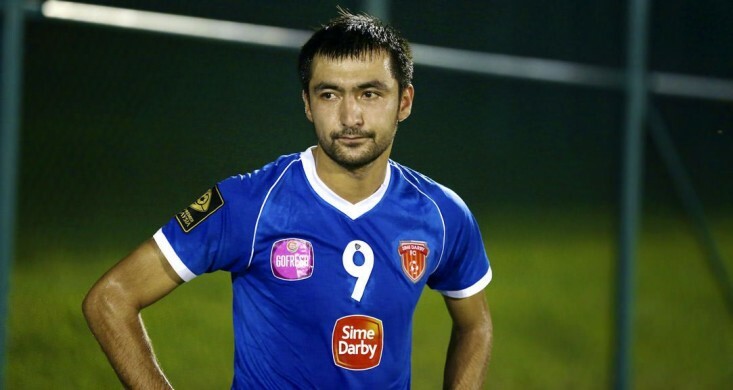 Sharofetdinov is a versatile midfielder who is good at distribution and winning back possession. He is also 6ft 2in tall and that physicality will really make him an imposing figure in the heart of the East Bengal midfield. East Bengal were looking at various options, like Brazilian midfielder Fabio Goncalves and others but none of the deals materialized. So, star midfielder Mahmoud Al Amnah recommended Sharofetdinov and the club officials have given a green signal to his call. Al Amnah and Sharofetdinov were teammates in the past when both of them played for Sime Darby FC in the Malaysian League. Now, the duo will be reunited in Kolkata as East Bengal continue the chase their maiden I-league title. The Red and Gold are hopeful that the new recruit will have an instant impact on their gameplay. The 32-year old will provide solidity along with his defence-splitting passes from midfield. His tall physique will also make him a threat in the air. East Bengal will be hoping that with his services they gather some positive results from the remaining crucial matches. It will be interesting to see how the midfielder will adjust with his new surroundings because the race to the finish line is very near and making changes so late in the season may even backfire for the Kolkata based club.